Have you ever wanted to travel abroad and immerse yourself in a culture different than your own? You can do just that by partnering with an English language school in China. Come experience all that China has to offer by becoming an ESL instructor and get paid to take in the culture, the cuisine, and the centuries of history. Teaching English in China is an excellent opportunity to make a difference in the lives of enthusiastic students seeking instruction from native English speakers. China is making big moves to make a more English-literate society. With China’s incredible economic growth in the last 30 years, the country has become a worldwide financial hub. Since English is firmly established as the international language of business and commerce, as the Chinese economy grows, so does the English language market. In order to remain competitive on a global scale, the Chinese government has chosen to make English instruction a priority in many schools throughout the country. China has one of the largest school-aged populations in the world, and there are new teaching opportunities available daily. Teaching in China typically takes place in private language schools, public schools, baccalaureate schools, or private international schools. The English language market in China has never been in more demand. Major cities all across the country are looking for native-borne English speakers to instruct their students. Teachers are given the opportunity to earn a generous wage and enjoy many benefits while taking in the rich cultural history that China has to offer. The Forbidden City – the best-preserved imperial palace in China, the essence and culmination of traditional Chinese architecture. 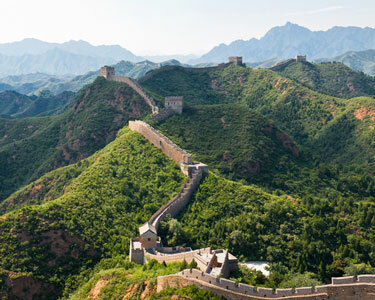 The Great Wall – more than 2,300 years old, the longest wall in the world, visible from space, great for hikes. The Temple of Heaven – built by the Ming Dynasty in 1420 AD, considered the most holy of Beijing’s imperial temples. The Yellow Mountains – One of the most famous and beautiful mountain regions in China, includes oddly-shaped pines and rocks, and mystical seas of cloud. If you are not experiencing the many cultural and historical attractions of China’s past, there is no shortage of things to do in one of China’s modern urban centers. With over 24 million people, Shanghai is world renown for its historical landmarks, extensive skyline, and is the showpiece of the booming economy of Mainland China. Other major cities include the culture, political, and educational center of China, Beijing, and Guangzhou, the south gate of China. If these larger urban areas seem daunting to you, don’t worry. There are plenty of opportunities in many of China’s smaller cities that will offer you a completely unique experience. Whether you decide to teach in Shanghai or Beijing, Tianjin or Guangzhou, rest assured that you are engaging in meaningful work that changes the lives of students each and every day. 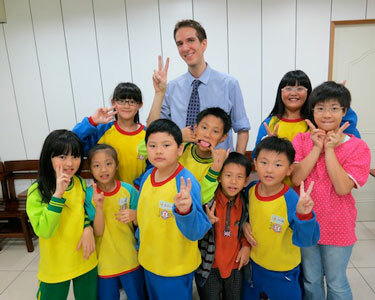 If you are looking for a teaching job in China, your best bet is to go through a teacher placement company. These companies have close relationships with all of the best schools in China and will work with you to place you in a school that fits your needs and your comfort level. Not only will this save you a lot of headache, it also ensures that you get placed in a top-notch, reputable school. There is no fee associated with a placement company. They work with the schools themselves and receive a stipend per placement, so there is no cost to you, the teacher, when getting placed into a school. There are a number of different placement companies on the market, but here are my recommendations. These organizations are trustworthy companies with great reputations that have years of experience and a great deal of market knowledge. Teach English in China with help from the following placement companies. 2 Why Teach in China?